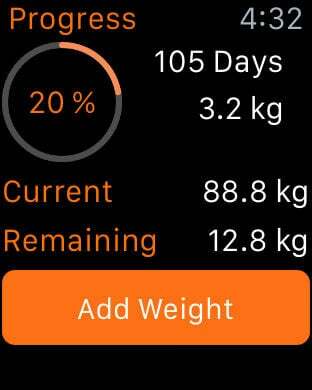 Weight Tracker is now available for Apple Watch. 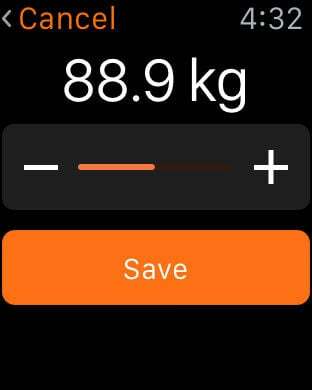 Quickly enter weight and check stats from your wrist. 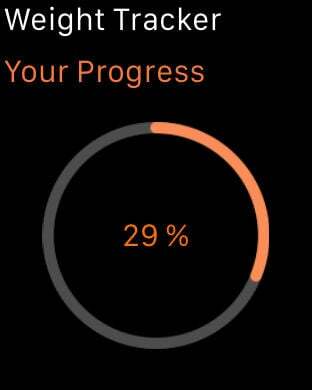 Track your progress towards weight loss or gain. Very easy to use, plot your weight change and BMI as graph. * Quick and easy weight adding. * Set your weight goal and watch your progress. * Look up your weight for any given date. Edit or delete entries at any time. * All your weight and progress information on a single screen. * Motivating weight and BMI charts. * Export / import your weight data via email. * Apple Health App integration. * Reminders, password protection and more. Easy setup: Weight Tracker can get your height, gender, weight from the Health-App if you like. It will also write your weight and BMI into the Health-App. Your data belongs to you! You are able to export your data at any time and use it as a CSV file (a plain text file). Your data is not collected or transmitted!